Ray Stedman shows you how to help your church recapture the vigor and passion of the early church, a radical body of enthusiastic believers who spread the Word of God throughout the world! Ray Stedman shows you how to help your church recapture the vigor and passion of the early church, a radical body of enthusiastic believers who spread the Word of God throughout the world! Using principles from Romans 12, 1 Corinthians 12, and Ephesians 4, this classic book on church renewal demonstrates the dynamic purpose of the church and the exciting role of each member in the Body of Christ. 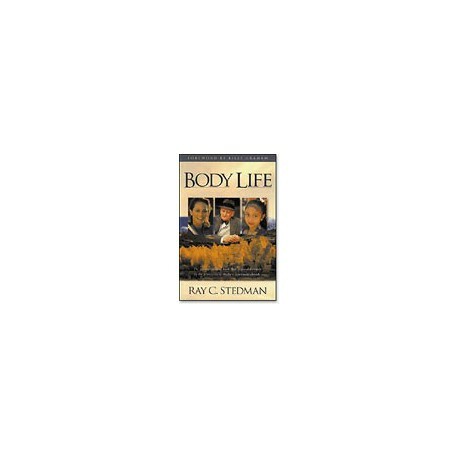 • Includes probing study questions that make Body Life both personal and practical.